Version 2.0 is finally here with iOS 8 support along with a new look and feel. I hope you continue to enjoy my simple, team forming application. I have some exciting new features planned over the coming weeks so keep watching this space. Thank you for your interest in my Team Former application for iOS. 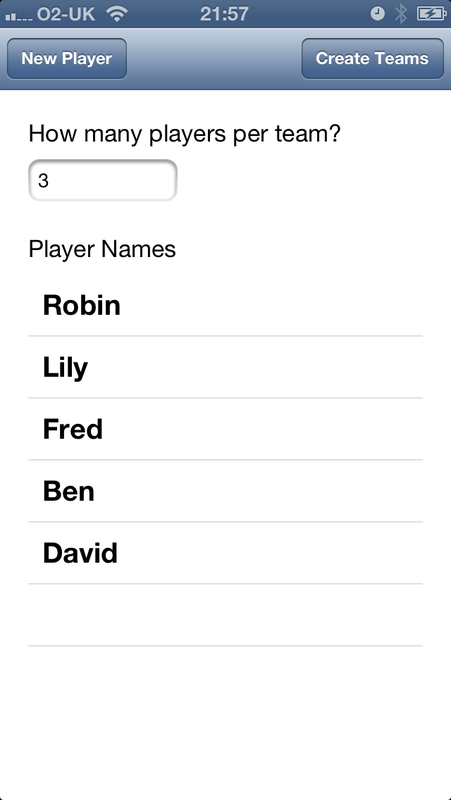 This simple app allows you to quickly and easily create teams for sport, board games or anything else you're doing. 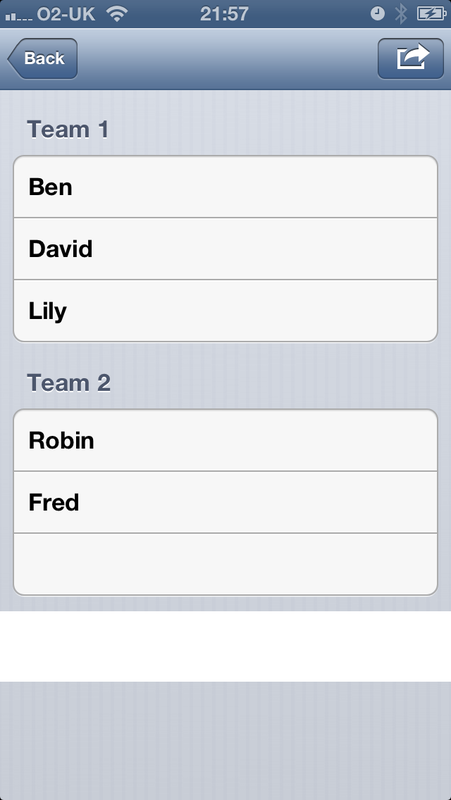 Need to split your class into groups or teams without the arguments then look no further. Just enter your list of participants and the size of each team and hit Create Teams. 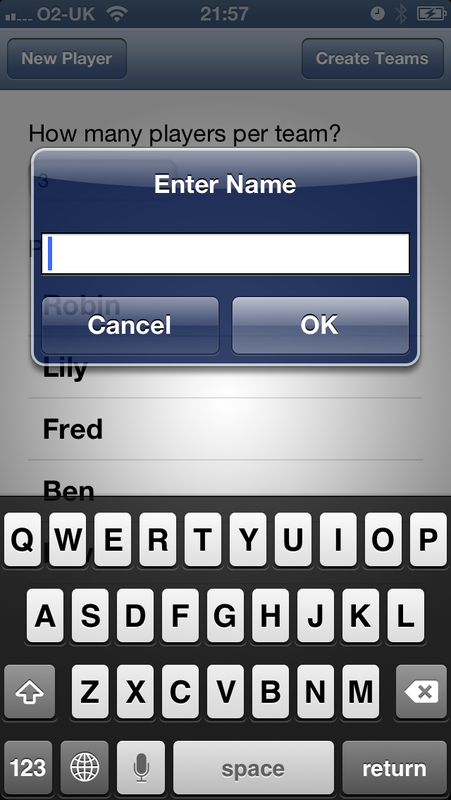 The app will take it from there automatically generate your teams for you. You can then share these on Facebook, Twitter, Messages or Email quickly and easily. You will be able to get the app for free soon from the App Store. If you have any questions or suggestions please don't hesitate to email me at support@22hundred.net. 1. Add New Players through the New Player button. 2. 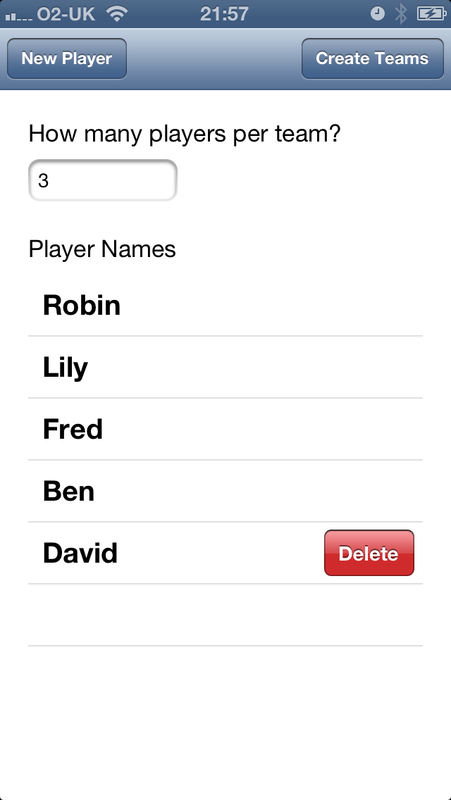 Delete a player by swiping on the players name. 3. Set the number of players you want in each team. 4. Tap the Create Teams button to form your new teams. 5. 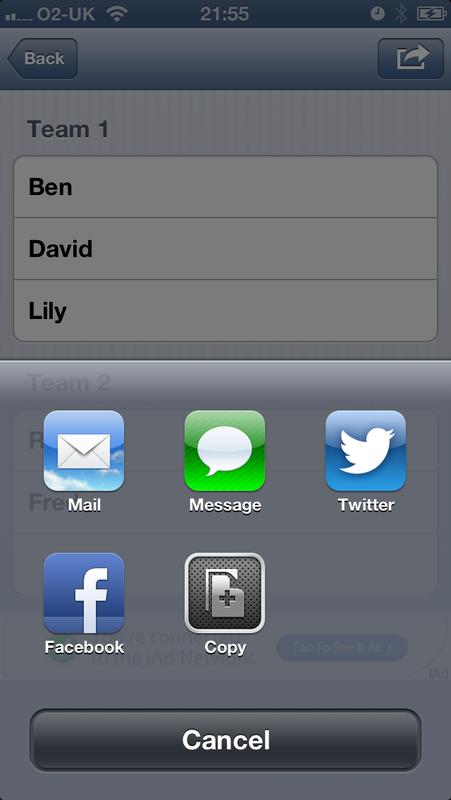 Share the teams with friends and followers by tapping the share button.